Michigan Solar & Wind Solutions (MSS), is an established and respected leader in the renewable energy industry – since 2007. MSS has earned many awards and continues to receive referrals from past customers on an ongoing basis. 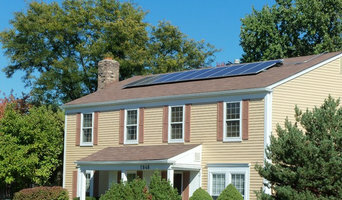 MSS has gained a reputation for being one of Michigan's most experienced and trusted residential and commercial Solar power companies. MSS is known for delivering unparalleled craftsmanship, with the highest quality products, best price points, and for having impeccable customer service. MSS is also known for installing only Made in USA products, Made in Michigan wherever possible, and for employing Michigan workers. MSS is a regular “GO TO” for the utility companies, politicians, and educators, and has successfully completed projects with Detroit Edison, and Consumers Energy since 2009. In the Spring of 2015, the company installed a unique vertical side facia solar array for DTE in Downtown Detroit. MSS has directly or indirectly designed systems and solar and wind generators for: the State of Michigan buildings, schools, municipal buildings, Army bases, and private businesses. Examples of this include: Michigan International Speedway, Akebono Braking, Emagine Theatre, Powers Distributing. In addition with: General Motors, Chrysler, Ford and SAIC Automotive on projects from developing solar arrays for EV Charging Stations, to off-grid systems, and large arrays for their buildings. As of spring 2015, MSS has completed well over 100 jobs totaling over 1 Megawatts. MSS employs a general contractor, solar design experts and NABCEP certified solar installers. MSS is Michigan’s largest installer of SolarWorld panels obtaining their Platinum Installer status in early 2014. SolarWorld is the USA’s oldest and largest solar panel manufacturer and has been for forty years. SolarWorld is one of the only manufacturers in the world that have been making solar panels longer than their panel’s twenty-five warranty. MSS’s solar systems come with free monitoring to assure that their customers receive optimal solar production and payback each and every day. Power Panel generates electricity and hot water at the same time.A unique hybrid solar power system that provides all of your energy needs in a small but powerful footprint. A radically different approach to renewable energy built from the ground up providing higher efficiency, better design, and greater ROI. Power Panel maximizes your home's solar energy potential by generating electricity and hot water in the same footprint. With Power Panel, you can take full advantage of all the energy the sun has to offer. Contact us to find out exactly how much your roof or yard can produce with a Power Panel System.